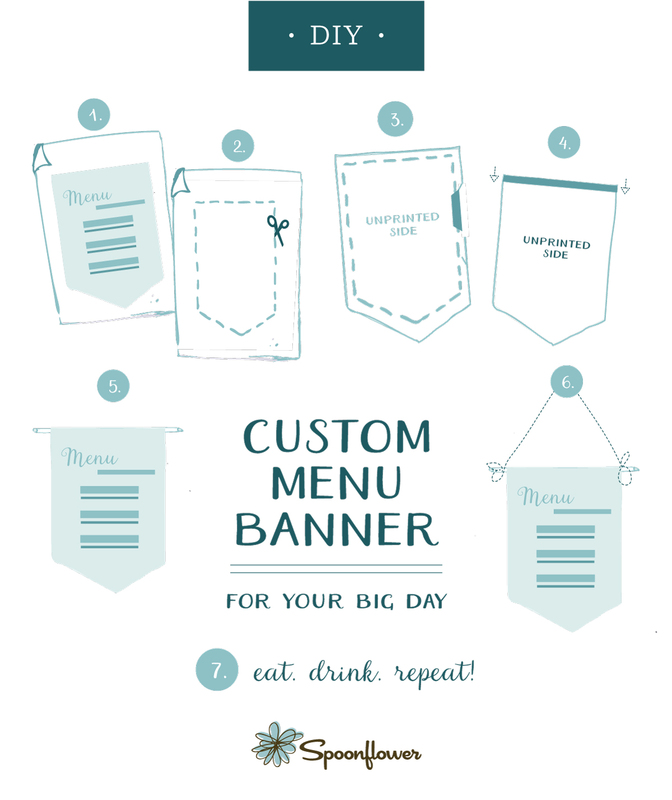 We’ve shared three different menu banner templates to help you on your DIY wedding journey. 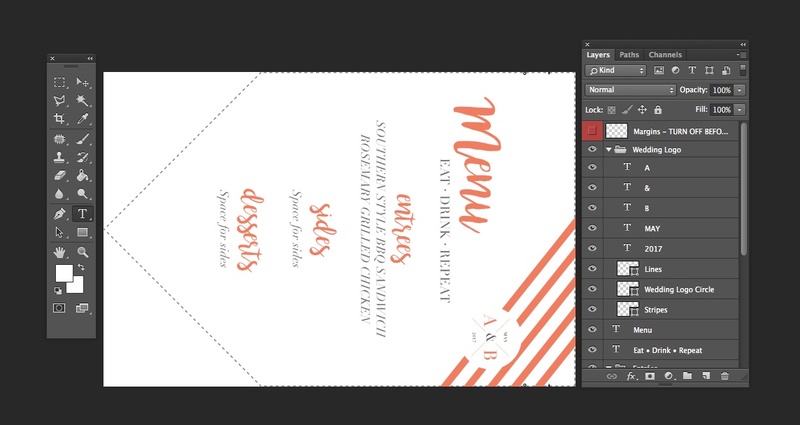 The first template, named MenuBanner-Template, is designed to be used in Photoshop. The template named FillinTemplate can be used in PicMonkey or another one of your favorite design programs. 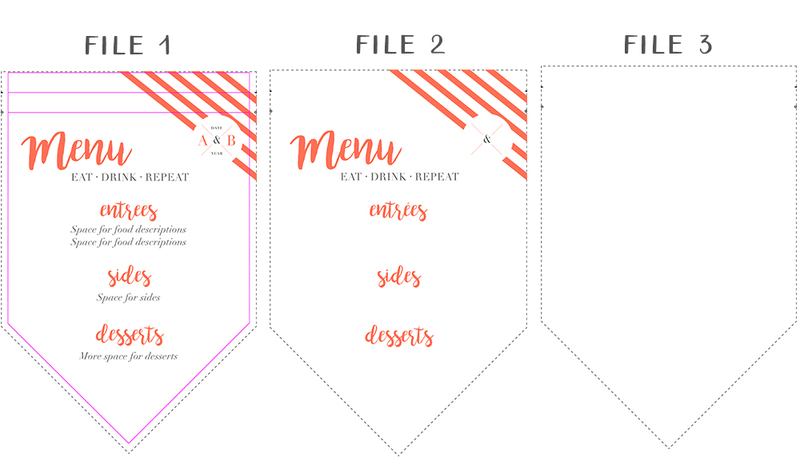 The blank template is a menu template that can be used in your favorite design program. For this tutorial, I’ll be using MenuBanner-template and working in Photoshop. 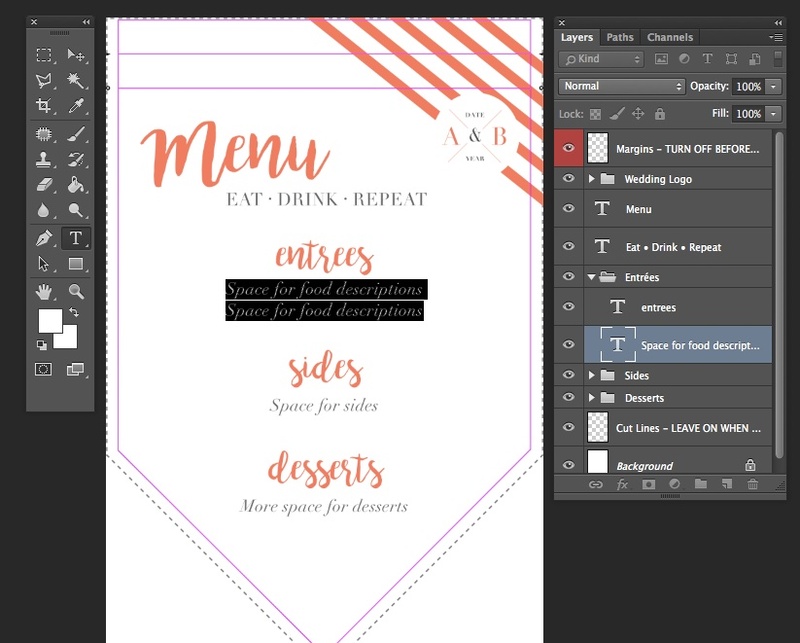 Once you have opened Photoshop, select Open in the drop-down menu and choose the MenuBanner-template file from your computer. Select OK. Your file size should be 18″ wide x 27″ at 150 dpi. 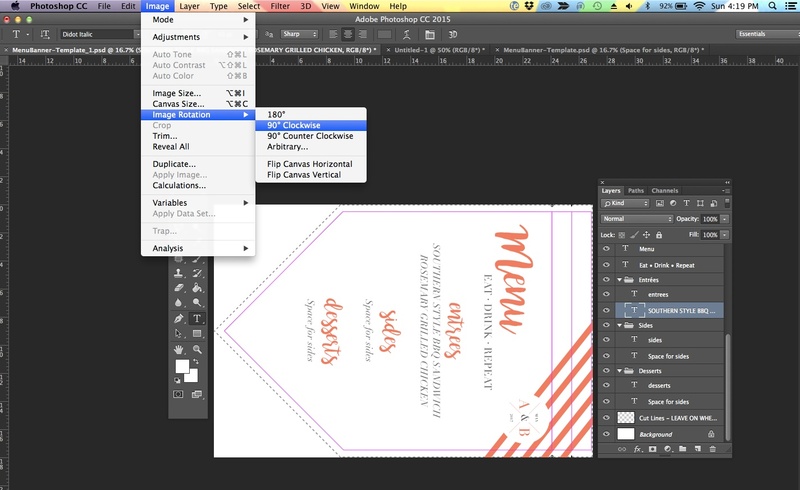 Using your layers and text tool, update the menu and event details. First, select the layer you’d like to update and then select the text tool in your tool bar. 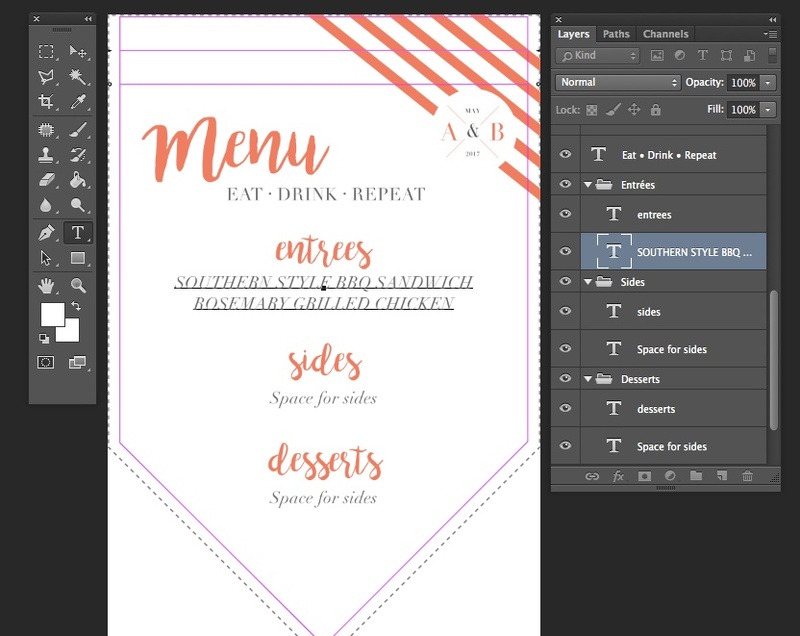 Highlight the placeholder text (“space for__”) and replace with your delicious menu details! Repeat for the sides, dessert, and the event details in the top right corner. Your banner file is 18” x 27” but a Linen Cotton Canvas Ultra fat quarter is 27” x 18”. To make sure your banner prints without getting cut off, rotate your file 90º by selecting Image Rotation > 90º Clockwise in the Image drop-down menu. The photoshop version of the template includes purple margins to give you enough room for a ½” seam allowance when sewing. These lines are not intended for print, so before saving your file, be sure to turn off this layer by deselecting the eye icon on the layer labeled layered Margins – TURN OFF BEFORE SAVING. Save your file as JPG or PNG by selecting File > Save As and adjust the format to JPG or PNG. 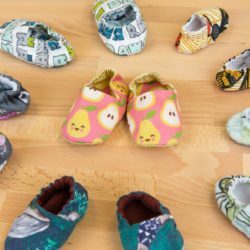 Login to your Spoonflower account and upload your final menu banner. We recommend ordering this banner on Linen Cotton Canvas Ultra but any of our other heavier fabrics will do the trick! Place your order and let the countdown to fabric delivery day begin! 1. 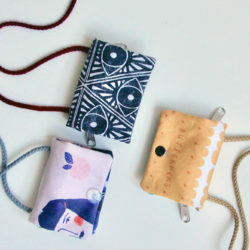 Once your fabric arrives, it’s time to get sewing! 2. 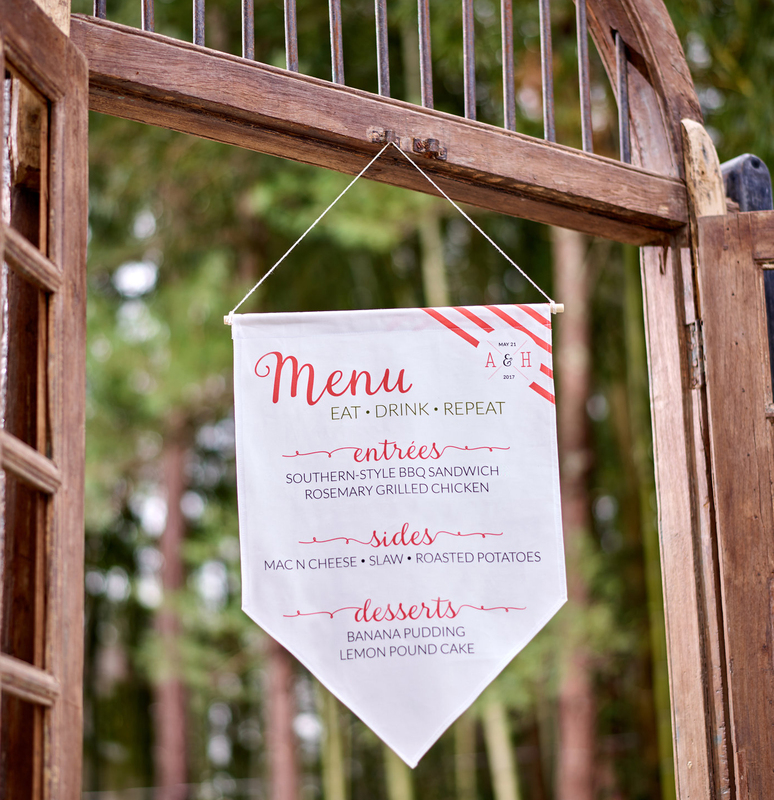 Cut: Using a rotary blade or fabric shears, cut out our menu banner along the dotted line. 3. Hem: Fold in your edges 1/4″ and press. Repeat and pin your hem in place. Sew your hem closed with a straight stitch. 4. Create a pocket: Fold 1/2″ of the top portion of your fabric over to the unprinted side and press. Stitch across the long edge of the fabric fold to create a pocket for your dowel rod. 5. Add: Insert your dowel rod. 6. Hang: Wrap the string around your dowel rod and secure with a knot. 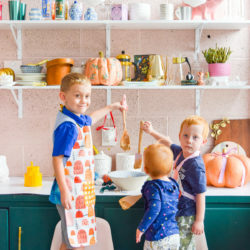 We love how this DIY project could be easily used for another type of celebration besides a wedding! 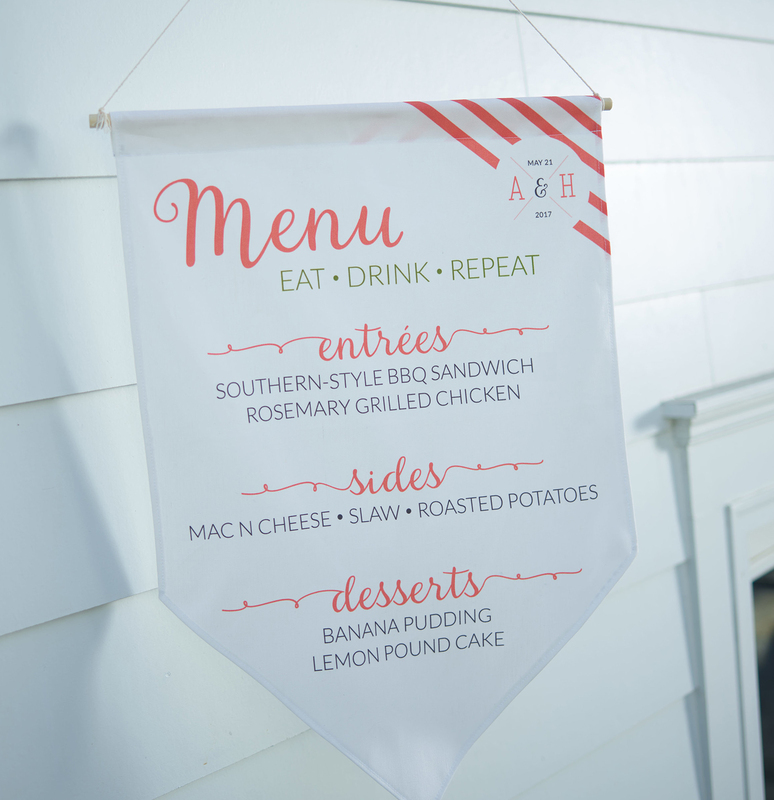 By changing out the text on the template, you can create your own menu for your own celebration or switch it up completely and add your favorite quote for an easy wall hanging. 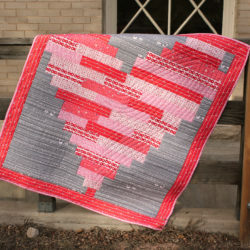 Be sure to share what you’re making with #spoonflower so we can join in the celebration! These templates say no longer available? Where can I download them? We apologize for the trouble! The post has been updated and you can find the templates here.